President Buhari assures of Nigeria’s ability to repay Chinese loans – Royal Times of Nigeria. 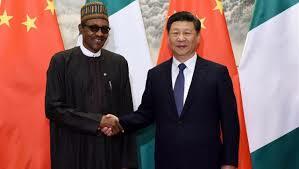 President Muhammadu Buhari has dispelled insinuations that the loans given to Nigeria and other African countries by the Chinese government are debt trap. Speaking today in Beijing at the FOCAC Round Table meeting, attended by African leaders and Chinese President Xi Jinping, President Buhari insisted that Nigeria will be able to repay the loans. This is coming as he disclosed that Nigeria’s partnership with China through the Forum on China-Africa Cooperation (FOCAC) has resulted in the execution of vital infrastructure projects across the country, valued at over five billion dollars in the last three years of the current administration. President Buhari said these vital infrastructure projects synchronize perfectly with Nigeria’s Economic Recovery and Growth Plan. The president while highlighting specific projects under FOCAC, said through the Chinese support, Nigeria has impressively addressed significant challenges in the areas of infrastructure, human capacity development, power, transport, agriculture and humanitarian assistance.